Welcome to Artistic Smiles. Our Miami dental practice provides comfort, convenience and affordable prices. 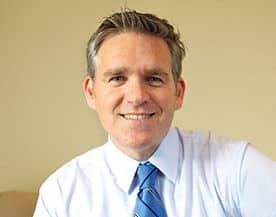 Learn more about our practice through our patients’ eyes, as well as what we do to make you feel comfortable while you’re here. Quality dentistry is an essential element of your full-body healthcare system, and there is nothing more important than working with a Miami dentist who offers a complete scope of dental care to patients of all ages. If your family seeks a quality dental care, you have come to the right place! At Artistic Smiles, we are dedicated to providing you and each member of your family with excellent dental care at affordable rates. Whether all your smile needs is regular checkups and cleanings or an extensive restorative procedure, rest assured that our team is here for you. Artistic Smiles is conveniently located at 10261 SW 72nd St, C106, Miami FL 33173. Our dental office is in the Sunset 102 Business Park. We’re the 2nd right on SW 72nd Street (Sunset Drive) going west after passing 102nd Avenue. Food particles, plaque, and bacteria can build up in your mouth even when you brush and floss regularly. This can lead to common dental issues like tooth decay, gum disease, and even tooth extraction. At Artistic Smiles Family & Cosmetic Dentistry, we use special scaling equipment to get your teeth exceptionally clean. This includes the tight areas between teeth where decay can develop due to the difficulty of reaching these spots with a toothbrush or dental floss. We also polish your teeth at your bi-annual cleaning, which is a level of dental hygiene you just can’t achieve on your own. It’s a common misconception among parents that taking care of baby teeth isn’t as important as caring for permanent teeth because they fall out anyway. This couldn’t be further from the truth. Poor oral hygiene with the primary teeth can cause serious and long-term problems when your child starts getting his or her permanent teeth. We encourage parents to start cleaning their baby’s gums with a warm, damp cloth before he or she even has teeth. This prevents the spread of bacteria. Early visits to the dentist are important to help set the stage for your child to have a positive view of the experience. Our dentists and assistants take this responsibility seriously by making the appointment as comfortable and stress-free as possible for both of you. If you hold back smiling because your teeth aren’t as white as you would like them to be, you owe it to yourself to check into professional teeth whitening. This is one of the most popular and budget-friendly cosmetic dentistry services that we offer to people in Miami and the surrounding communities. Feel free to schedule a consultation to learn more about the different types of teeth whitening and to see before and after pictures of other patients. Dr. Elejabarrieta will let you know if you’re a good candidate for in-office or at-home teeth whitening. A chipped tooth from an accident, stained teeth, slightly misshapen teeth, or a larger than usual gap between two teeth can make you feel self-conscious when you smile. Perhaps you’re concerned that people will become distracted by the imperfection, but you don’t need to be when you have a porcelain veneer installed at Artistic Smiles. Dr. Elejabarrieta has many years of experience transforming smiles of children, teens, and adults through the simple process of applying a porcelain veneer to the front of a tooth. In short, these benefits can increase your quality of life. 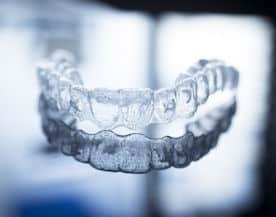 If you have lost teeth due to an accident or dental disease, please don’t hesitate to schedule a consultation to discuss your replacement options. Root canals have gotten a bad reputation over the years, but the truth is that not treating an infected tooth causes much more discomfort than the procedure itself. In addition to pain, swelling, and tooth sensitivity, you might notice bleeding, a pus-filled sac on your gum line, or persistent bad breath. However, it’s important to realize that some people who need a root canal don’t display any symptoms at all. That is just one reason why keeping your bi-annual appointments at Artistic Smiles is so important. Dr. Elejabarrieta looks for signs of infection and instructs you to schedule a root canal if necessary. If you need the procedure, you can feel confident that our staff does everything possible to ensure your comfort. There is never a convenient time to experience a dental emergency, but you might panic if one happens in the middle of the night or when you’re away from home. We want you to know that you can contact our office for immediate care 24 hours a day and seven days a week. Even if you’re not certain that you’re experiencing a true emergency, it’s best to err on the side of caution and have the problem evaluated. It could mean the difference between losing and saving a tooth or struggling with severe pain when help is readily available. Our staff will treat the problem right away and instruct you on how to care for it at home so you don’t have a repeat incident. Dr. Yon Elejabarrieta and his team of specialists have extensive experience in every branch of dentistry. To ensure that you are receiving only the latest treatment options available today, we are continually seeking knowledge on advancements in the field. 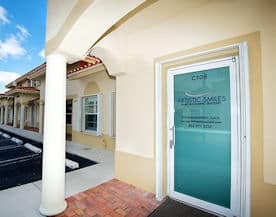 We invite you to visit our state-of-the-art office for the most comfortable and relaxing dental experience in the area. We are committed to excellence in customer service, professionalism, and dedication to the new patient and also the existing ones. As such, we take the time to identify your individual needs and apply our knowledge to provide the most thorough treatment in the simplest and painless way possible. 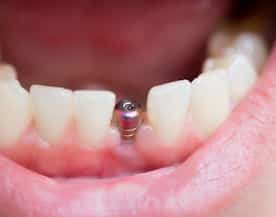 Please visit our Smile Gallery to see for yourself the caliber of dental work that we can offer you. We understand that dentistry does not stop at teeth but encompasses your entire mouth and beyond. If you suffer from sleep apnea, i.e., snoring, we provide sophisticated solutions to help restore great sleep quality. When you are looking for the leading dentist in the area, Artistic Smiles is only one call away. To schedule your first appointment with Dr. Elejabarrieta, please call our office today at (305) 271-3333 or fill out our online contact form.